John Scott is a sociologist/criminologist. He joined QUT Faculty of Law in 2014, having previoulsy worked at UNE. His current research interests are in the areas of drug supply, sexual and gendered crime, and rural crime. Since completing his PhD in 2001, he has published widely, including fifteen books and major research reports and over eighty papers and book chapters, many with leading international journals and publishers. He has also had sustained success in attracting nationally competitive grants and industry funding, including two ARC Discovery Grants, 2 NDLERF, a CRG, a RIDC and an ARC Linkage. In terms of teaching, he won a 2007 Carrick Award, in addition to institutional awards for teaching and curriculum innovation. 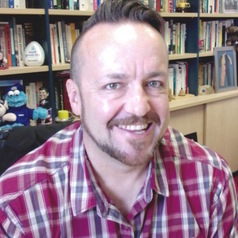 He has recently served as a Chief Examiner with the New South Wales Board of Studies and as a member of the Community Relations Commission, New South Wales.